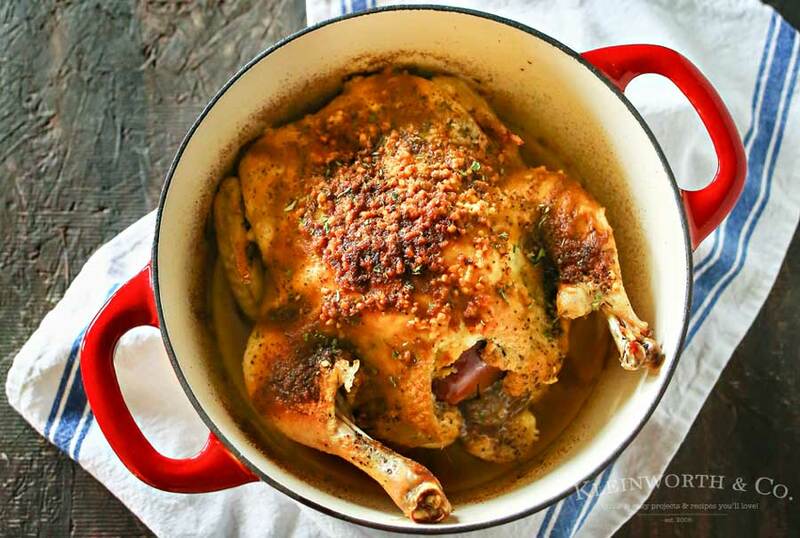 Dutch Oven Garlic Chicken is a simple chicken dinner recipe that takes just a few minutes of prep & a couple hours to cook. 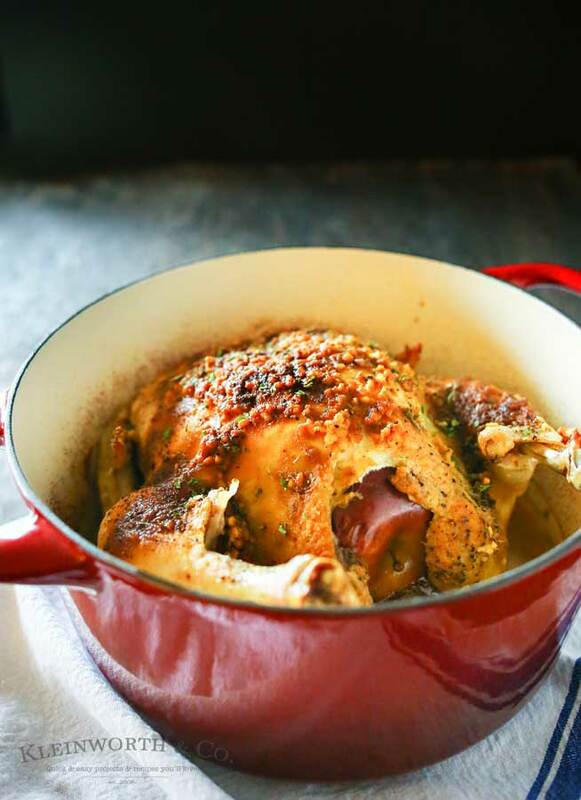 Easy family dinner ideas like roasted chicken are great! I love how simple it is! that I adore. It’s bright & happy, which makes me want to find reasons to use it. I love pairing this with a side of pasta salad & bread sticks. 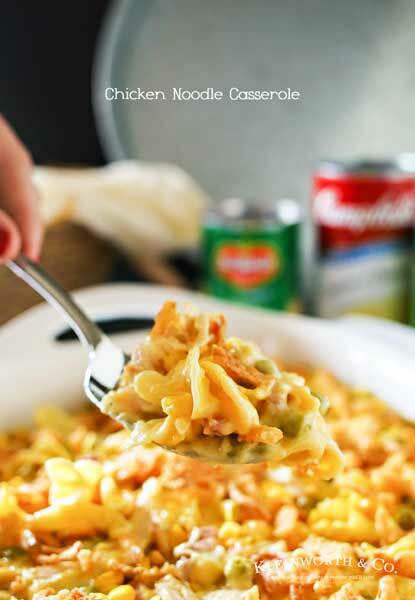 It makes for a great meal & the kids just love it. I’m tempted sometimes to pick up another dutch oven so I can make 2 at a time. One for dinner & one for leftovers so I don’t have to pick up a rotisserie chicken. That would be great because with my 3 teens, there is never any leftovers in this house. They are hungry. 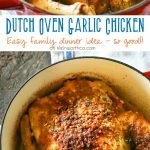 Dutch Oven Garlic Chicken is a simple chicken dinner recipe that takes just a few minutes of prep. 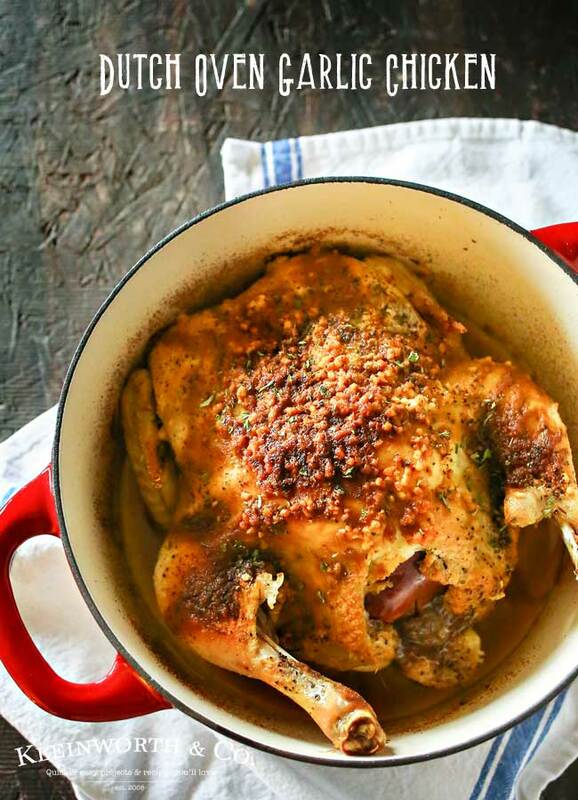 Easy family dinner ideas like roasted chicken are great! 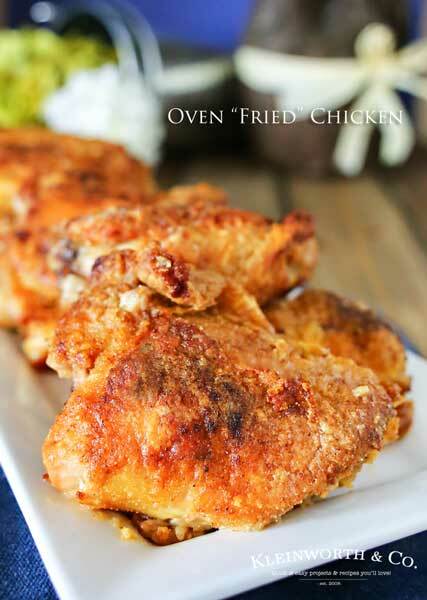 If you love easy chicken dinner recipes- this one is sure to be a favorite! I cook my Thanksgiving turkey stuffed with apples, garlic, and onion…so good…and I bet this is as well. Thanks for sharing with the Thursday Blog Hop! 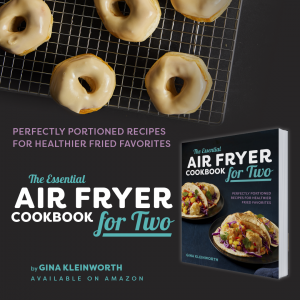 Oh wow…this sounds SO delicious! 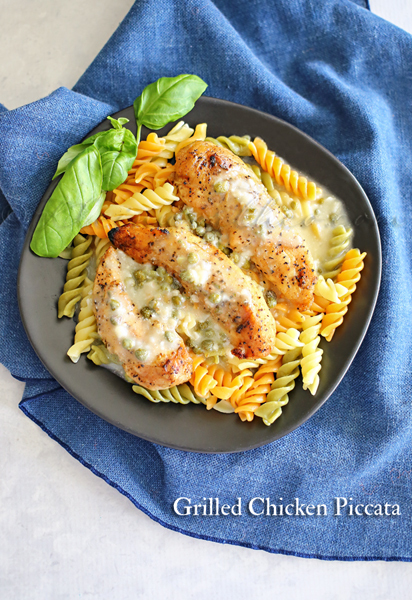 I love garlic chicken, and this looks incredible! Can’t wait to try this, so thanks for sharing at Merry Monday!